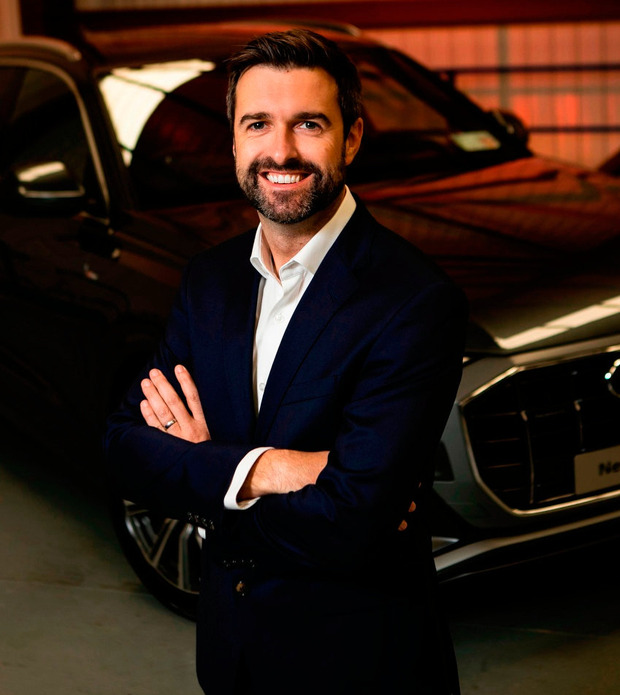 Audi Ireland, with 11 independently-owned dealer partners around the country, has established itself as a leading premium car brand in the Irish market, a position it has held on to for the last 10 years. With the automotive industry going through so many changes Richard Molloy, head of marketing, tells John McGee some of the challenges the brand faces. My role is split into two. In terms of product, the team is responsible for launching to the market the right product offering in terms of value proposition, equipment, pricing and customer promotions. The marketing team is also responsible for our customer journey, campaigns, the digital footprint, customer events and public relations. It’s also an exciting time for the marketing team, as we are in the middle of launching five new models over the coming five months. In a media landscape that is characterised by an abundance of increasingly fragmented media channels, customer engagement becomes an ever greater challenge. How do we ensure customer engagement with the right message at the right time? Personalisation of messaging is also becoming ever more important, which means new digital customer platforms such as MyAudi are more and more central to what we do. Knowing your own customer journey is important. Understanding each of the customer touch-points helps to shape your creative strategy. It’s only through this kind of understanding that you can hope to deliver relevant, useful and engaging messages to the right people. Measurement is important too and strategic decisions must be data-led. Above all, a strong working relationship with your agency partners is the foundation stone to overcoming any marketing challenges. What initiatives are under way? We launched a world-first augmented reality (AR) consumer experience, exclusively across a number of select Irish dealerships. The new AR technology will allow customers to immerse themselves in the latest technology features of the new models in the showroom. The objective of this AR experience is to communicate all the technology USPs we have in our new models using state-of-the-art technology with Microsoft HoloLens. It’s an innovative and engaging use of technology to provide a better customer experience. We partnered with a leading Irish experiential technology agency, vStream, to launch this global pilot programme in Ireland. Ahead of the Audi e-tron launch in early 2019, we also introduced an online deposit campaign, encouraging customers to reserve priority access to be amongst the first customers to order this car. The interest in electric vehicles is there, as the campaign has delivered online depositors and leads which have surpassed the most optimistic of our expectations.